The research Project I have been developing, named “Curricular adaptations and schooling of the deaf student in regular schools”, emerged from the issues observed by me as a professional. 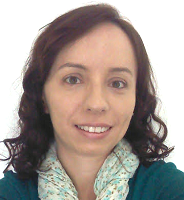 As a teacher of deaf students and an interpreter of Brazilian Sign Language – LIBRAS, in regular public schools, and also during my studies to obtain my Master’s degree – when I analyzed the school performance of deaf students, – it was possible to notice that inclusive education has not provided the conditions that enable quality education for all. In general, schools lack the appropriate infrastructure, teachers are unprepared, students display low school performance and the pedagogical practices do not meet the special learning needs of disabled students, including deaf students. I was able to observe that this is due to the fact that, in part, teachers are unprepared; some teacher education programs neither include aspects concerning diversity, nor present a dialectical approach in the theory-practice relation, which impairs the development of pedagogical practices and of a curriculum that respects differences and complies with the students peculiarities. Given this situation, I understand that the inclusion issue demands a new positioning from public policies, schools and teachers. Thus, the current conditions should be restructured; teaching should be optimized; teachers should be better prepared and the curriculum should be adapted. I would like to draw attention to the term adaptation, given that the idea is not creating a new curriculum, but making it appropriate, when necessary, in order to meet the learning specificities of disabled students, maintaining, as Vygotsky (1931) stated, the same content, taught in different manners, though; therefore, changing strategies, materials and the paths taken. By these means, a flexible curriculum – key to the establishment of the inclusive proposal – is sought, raising awareness to the students’ needs and in search to be adjustable, since it is designed under the premise that every individual is able to learn, although each may need a different approach. A curriculum that promotes learning organization and foresees student development, all done with good teaching. If, as Vygotsky states, well-organized learning promotes several development possibilities because they result from new learnings, then the school and, above all, the teachers, must be aware of the procedures which enable “good teaching” for deaf students as well. In other words, those that promote an education that validates their skills, their previous knowledge, ordinary concepts and the zones of proximal development. Therefore, curricular adaptations are needed, in a manner that the concepts approached in class, the integrating experiences promoted by the school and the construction of meaning on the cultural aspects historically organized for knowledge construction to take place, are all accessible (to everyone), regardless of the different learning features. Aware of the importance of curricular adaptations in the development of the deaf student, of the issues in inclusive education (aforementioned) in the school where this student is placed, and due to the fact that this doctoral research is anchored in Vygotskian Social-Historical-Cultural Theory, I believe that the discussions promoted during the 7th Iscar Summer University for PhD Students Cultural-Historical Psychology: Interdisciplinary Research Perspectives & Social Practices will contribute a great deal to broaden my understanding of the aspects that compose this theory, which are fundamental to the progress of this research. I find that the outcome of these debates will also support the search for an answer to the research question, as well as indicate ways to organize learnings in a collaborative manner, promoting development and enabling new learnings.